Resin incenses have been burned for centuries during ritual work and to invoke the spirits. 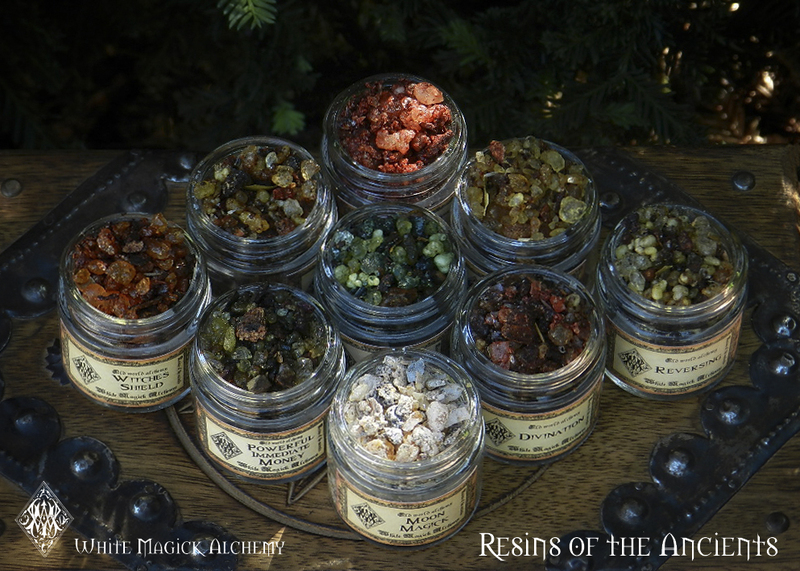 White Magick Alchemy offers many different resins and incenses that will intoxicate and fill the air, inside or out of doors, with magical pure natural fragrances. Pure saps, resins, heartwoods, blessed herbs, flowers, woods, powders, essential, essence oils and absolutes are used to create our these unique and magical offerings, all blessed and charged with intent for your spell and ritual workings.